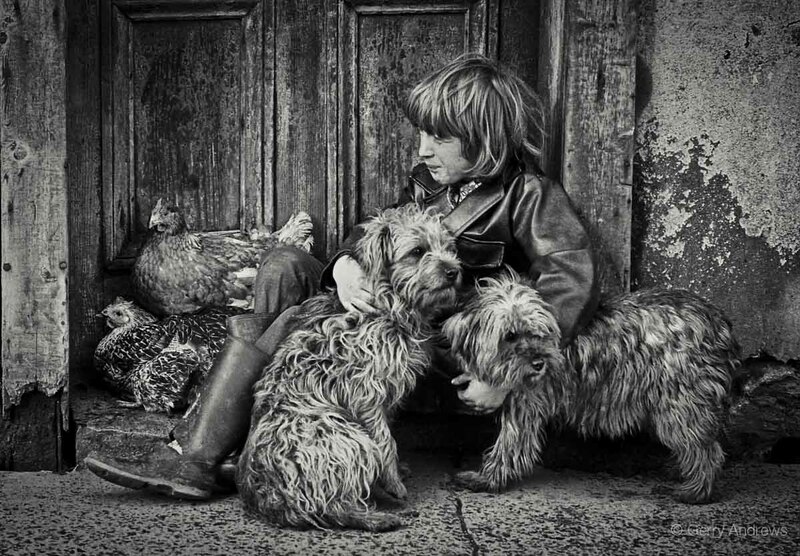 The boy sat nestled in a doorway with his animals around him. His broken boots indicated that money was scarce. The tears flowed freely down the young lad’s face, his sobs were deep, and he was inconsolable as he stared into space. Much to his horror and to his father’s delight, the two turkeys that sat beside him had just been sold. The lad refused to accept the obvious fate of the festive birds and ignored the frustrated pleas from his older brother to ‘stop whining’. He embraced his two shaggy dogs with obvious protection, fearful perhaps that they might also be for sale. Seconds later, the birds were gone. The burly farmer had little time for his son’s sentimentality. He strode purposefully to the nearby building, recognised by all as the turkey slaughterhouse. Birds squealed, feathers flew and necks were quickly snapped. This service was a condition of the sale to a local bargain hunter. The execution cost a silver shilling for each turkey and a discount was applied if the skin was torn during plucking. The feathered wings were returned as they were highly prized for household cleaning. The speed and swift efficiency caught the young lad by surprise. He stared at his lifeless, featherless friends in disbelief. His father was oblivious to the pain etched on his young son’s face. The exchange of notes, a spit on the hand to seal the deal, a short animated discussion about the weather and the transaction was completed. The farmer had a spring to his step when his customer left. The day had started well with the sale of the turkeys but there were vegetables and eggs to be sold before this day’s work was done. In the background the young boy refused to respond to his father’s delight. He cuddled his dogs closer to his face. His matted, mousy-coloured hair blended with the shaggy coats of his canine friends. His eyes were obscured from view and he sobbed quietly. It’s a fabulous photograph in every way, made even better by the beautiful little essay that accompanies it. Absolutely lapidary.